Over the weekend, Danny Crichton at TechCrunch wrote an in-depth piece entitled Open source sustainability about some of the challenges facing open source, and the efforts—like Tidelift—that have sprung up to address them. Danny’s article points out that open source has in some ways become a victim of its own massive popularity. As we’ve highlighted previously, open source is now the de facto standard for software development, used in pretty much all modern application development. Yet despite the overwhelming popularity of open source, many of the creators of popular libraries have not benefited financially from their projects’ successes, and many users of open source don’t have access to the basic assurances they expect from professional-grade software. For Tidelift, the answer to helping the creators of open source software is a market-driven solution that gives professional development teams a way to pay for assurances around maintenance, security, and licensing for the open source software they are already using. And because this isn’t a charity-based model, but instead one where money is exchanged for assurances that are of great value to professional organizations, we believe it offers a compelling way for open source maintainers to do better than simply sustaining their work. 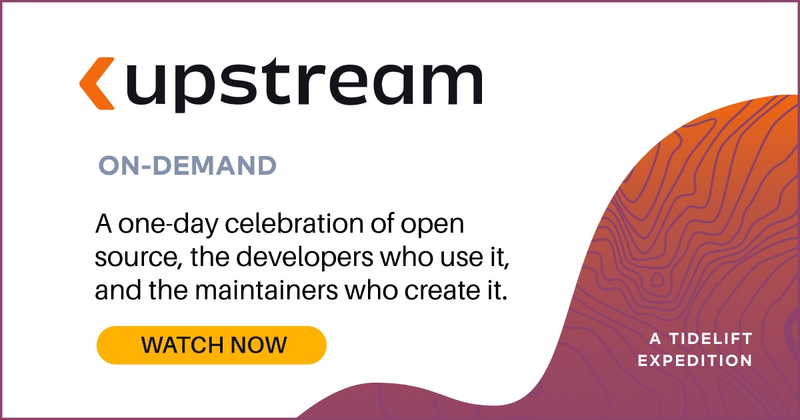 Open source maintainers are best situated to provide security, licensing, and maintenance assurances for their own projects. @Tidelift provides a scalable way for maintainers to access the commercial demand for these value-added services, and to charge for it. The full article is on TechCrunch here.